We're going to take a break from our Preparing for the Apocalypse program to bring you a special guest post from David R. Smith, the awesome author of the all-new The Dark Eagles: First Flight. Why is David awesome? Not only do we share the same name, but we also pen fantasy, and he's here to tell us what makes for great fantasy. I believe there is a careful balance between elements of reality and elements of fantasy that makes a great fantasy story. The more real fantasy is, the greater the ability it has to carry us away from our own reality. I think that is one of the many elements that made Rowling’s Harry Potter so successful. With Diagon Alley located in London and Hogwarts in Scotland, she tied the real world of common Englanders to a hidden world of wizards. We feel like we can visit these places and ‘almost’ pass over to the wizarding world of Harry. Tolkien did something similar. His world of hobbits and goblins takes place on Middle Earth, an ancient period of our own Earth. It makes his world more real. We can almost believe the legend of the ring. With my novel, The Dark Eagles, I did something similar. I created an astronomically correct and similarly geophysical world to our Earth. Maps, calendars, times, celestial bodies, orbital periods and revolutions add to the reality of the world of Fundautum. In the charts, readers can discover what their age would be in relation to Kief. Or they can see how much they would weight. A relatable fantasy world has power to draw in the readers and more easily transport them to a new place. There are many elements that make a story great. Human relationships is one of them and is something I’ve tried to focus on in The Dark Eagles. I find the carefree interaction between teenage friends especially amusing and profoundly insightful. The innocence and simplicity of young people seem to get right to the point of things without all of the guards and facades we adopt when we become adults. The line between right and wrong can become blurred through justification, as we grow older. The young see right and wrong more black and white even though their unchecked selfishness can sometimes get the best of them. 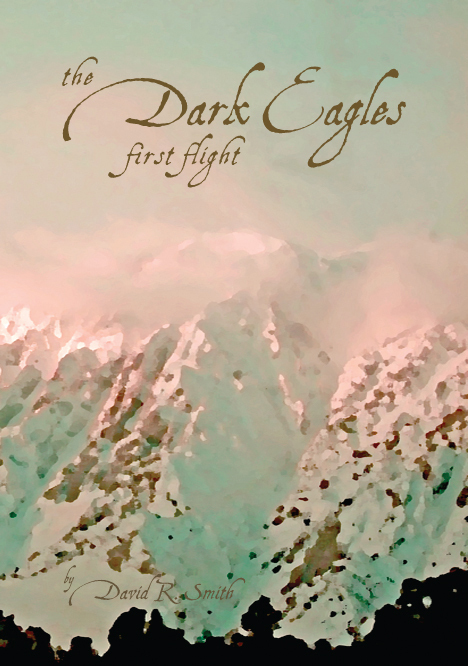 In the first book of the series, The Dark Eagles – First Flight, Kief finds himself battling his own selfish impulses time and time again putting his friends’ lives, and his own, in danger. Like true friends do, they candidly call him on it and united they do what grownups should have done. 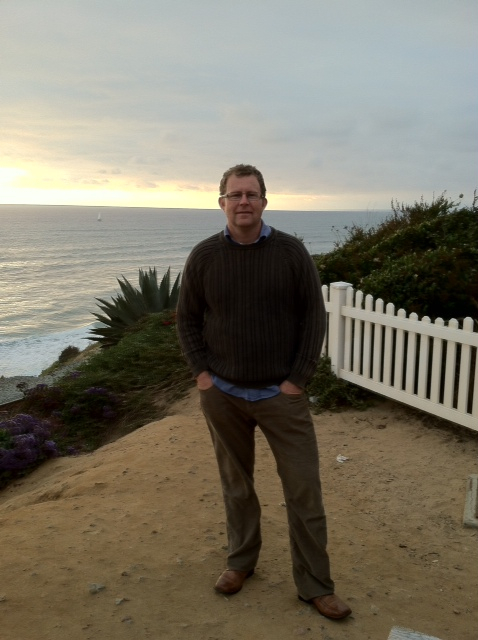 And now, I share a word or two on my short journey as an author. I love the classic adventure stories: Robert Louis Stevenson’s Treasure Island, H. Ryder Haggard’s King Solomon’s Mines, Mark Twain’s Tom Sawyer. I love them for their adventures and I love them for the near poetic words of their dialogues and descriptions. A part of me aspired to be like them. But that wasn’t my gift. We all have specific gifts and styles as writers. We have to embrace who we are and then work to develop it, to stretch it. With that, I say, be true to yourself as a writer. The other night I was watching a movie about a writer who was apprenticing a young man. At one point, the young man was sitting at his typewriter thinking. The seasoned writer asked him what he was doing and then told him to stop thinking and start writing. He told him there is no right or wrong in the first draft. I have found that so very true in my own experience. Just start typing the words. You will be surprised where your own gift of writing will take you if you unleash it. 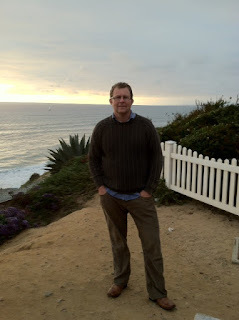 My wife, not a writer herself, encouraged me to do it years ago as she tried to help me let go and stop pretending to be some author I am not. She told me to sit down and start writing about anything, especially something I hadn’t thought-to-death about. She called it freewriting, or writing from the heart. It was truly a liberating experience. adventure beyond even his imagination. with his friends and his map, toward the same perilous destiny. Amazing, David! Thank you for sharing your story and powerful message. It made my notes all big and fat with ideas. Just so you guys know, David's book is now available (you can find it here). How about you guys? What makes for great fantasy for you? If you write it, what led you down that path? Are you enjoying it? I'm (also) David, and I'll show you that boiling water trick Monday! You put a lot of thought into your world to make it real. And sometimes it takes the encouragement of one's wife, doesn't it? Nice to met you, David! Wow, that sounds awesome! I'll definitely check out the book! Nice to meet you, David. I love how you outline what makes a successful fantasy. For me...fantasy only draws me in when the writer can create jaw dropping moments. Like in George R.R. Martin, about once per novel he has these moments (attack on the Fist of the First Men by the White Walkers or Quentin getting roasted by one of Dany's dragons) that send chills down my spine. That is what I live for and that is what I slog through pages and pages to get to. It's the same in movies. I remember one of the things I loved in Babylon 5 was the epic feel of the war of the Vorlon vs. the Shadow. Or in the Belgariad, it was the epic battle between Ctuchik (sp?) and Belgarath. So for me...I want a fantasy writer to do a slow boil. To build up to something with earth-shaking power being thrown around but to get there, we have to go on this journey of discovery with the characters. Great advice and thoughts about making the world carry features we can relate to -- it does have the power of drawing the reader in. And the human element is always crucial. The books sound amazing and so well-written and thought-out. Thanks for sharing David-s. There are so many wonderful things I love about fantasy. David, uh, the one guest posting, I really enjoyed your detailed examples of how you went about providing the familiarity of our world to draw the readers in to easily suspend disbelief and embrace the world you created. Congrats on the release, David! I love what you said about making fantasy realistic to draw in the reader. Great post about fantasy worlds. With some fantasy books I'm not drawn in, but other times I'm pulled in because of the world building. Well, I named my first son David, so it's a favorite name for me too. As an American, I find fantasy novels set in England, Scotland and Ireland have a greater setting for ancient mysteries and magic. They have more history, more legends and all those wonderful castles and ruins. That's definitely one of the reasons I like fantasy--I love to escape to other realms and go on adventure.